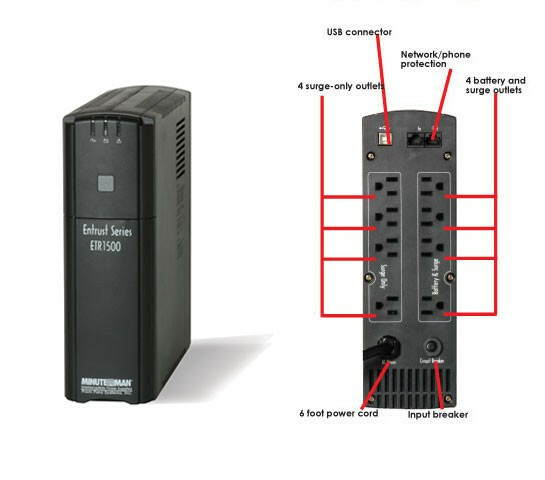 The Minuteman UPS ETR1500 offers automatic voltage regulation, spike and surge protection, and battery backup. The UPS ETR1500 Entrust Series protects computers, small serves, and voice and data networking. All of the outlets provide battery support along with spike and surge protection.